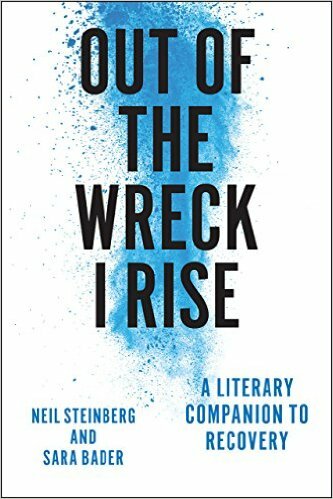 Every goddamn day: 04/21/19: Will my air bag kill me? 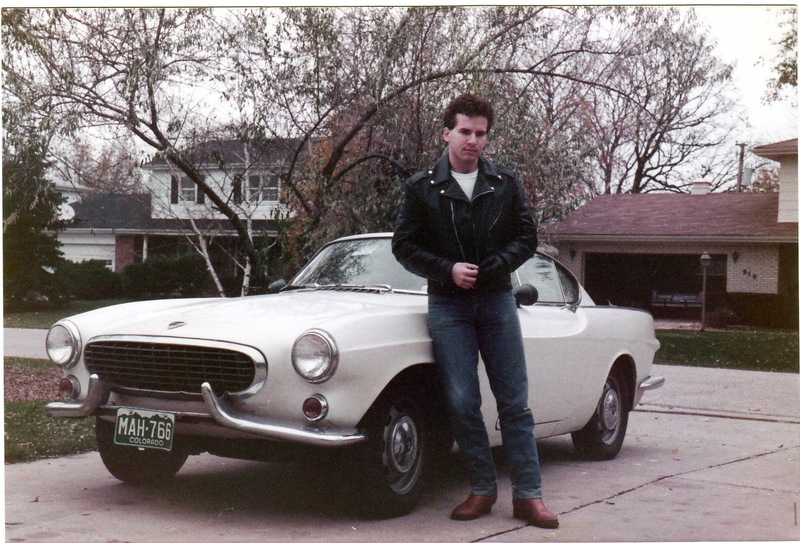 The author with his 1963 Volvo P1800, 1984. Once I drove a car without brakes. Intentionally. It was my first car: a 1963 Volvo P1800, the Swedish idea of a sports car with stubby fins, white in color, just like The Saint’s. The brakes quit abruptly. Push the pedal to the floor and nothing happened. But I could still downshift and had the emergency brake, so I drove it home. I was 22 and stupid, if that isn’t being redundant. But I got away with it. Now, 32 years later, the same guy who climbed behind the wheel of that brakeless Volvo contemplates the burgeoning Takata air bag recall. I’ve been manfully ignoring it, but like the radioactive blob in one of those 1950s horror movies it keeps getting bigger. Last week the recall doubled to 34 million cars, the biggest recall in automotive history. The air bags, which are supposed to save you in an accident — a nice touch of irony — instead can spray metal shrapnel into your face, even after a minor fender bender. Six people have died. A hundred more have been injured, some with gruesome facial injuries. Nothing like someone having their throat cut by an air bag or a shard of steel jammed in their eye to catch public attention. The 2005 Honda Odyssey on the Bonneville Salt Flats. This has been gathering for years. Now seems the moment when even the most complacent driver looks up from his silage, utters a worried “moo,” and goes shuffling off to find out whether his silver bean of a 2005 Honda Odyssey is among those now being recalled. The van that my darling boys and precious wife drive. Ha! All the good THAT did! Too bad Congress didn’t pass the “Don’t Bungle Producing The Air Bags So Badly That They Start Killing People Act of 2005.” All of this might have been avoided. There, the VIN, a blindness inducing jumble. “5″ or is that an “S”? “FNRL38″ or is that a “B”? And so on. Seventeen digits. Back to the computer, plug ‘em in. Oh. It is important, is it? Another important task that may or may not help keep me in some infinitesimal way. So do you drive the car and try not to think about it? Or what? Walk? Wear a hockey mask? Buy a new car? A new car that might also have some defective part you’ll find out about in a decade. Sigh. Keep driving. Try … not … to … think … about … it. Whoops. Turns out the Pinto wasn’t more dangerous than any other lousy mid-1970s car. You know what is the most dangerous part of any car, don’t you? What causes tens of thousands of deaths every year? But we can’t recall those, can we? So instead we fixate on these one-in-a-million risks — which are a big deal if you or your loved one is that one unlucky driver out of a million. For the rest of us, it’s all just part of the endless, confusing, scary hassle that is modern life. Drive safely. If you can. That picture - the entirety of it - is so you! I'd look at the airbags as a consumer activism thing. Most people were very happy when we got airbag technology that seemed to be a quantum leap in crash protection, and the failure rate for some Honda models has been over 2% - maybe between that and the odds you'll be in a bad crash in the first place it's not a reason to panic, but I'd be ticked at the manufacturer (who has been very secretive during this whole process) and not want to let them off the hook. As for "the driver" problem, a society that permits radar detectors to be legal, allows cell phone driving to be legal, rails against speed cameras, and thusfar has been less than enthusiastic about monitoring devices like Progressive Insurance had been using to "reward" good driving (now they're using it to set rates as well) isn't likely to move on that anytime soon. So true about them manufacturer. Many corporations can't be trusted. A/N/A-What do you mean by "that pic is so you." Is that a backhanded compliment or another sly dig? I can answer that one. Dig. Nothing sly about it. I didn't even have to ask. Actually I intended it double-edged, but in the post-5AM light it doesn't come off that way at all - I'm sorry. And at that age I could never pull off either the car or the look! Too bad you have to get up so early, A-N-A. As for the music, Stones for me, Paul is too soft for my liking. John was good till Yoko brainwashed him. DUI laws aren't harsh enough, either. Doubtful that will change but how often do you read of someone causing a wreck and being charged with DUI and then read that it's not their first time. Probably too easy to get a license, too easy to drive around without a license, long as you don't get caught. My family had two Pintos, no one died in a fiery crash, but my sister turned one over and walked away. Ah, but car manufacturers, can and will recall the driver. A little bit at a time, driverless technology is being integrated into vehicle control systems, starting with things like, self parking cars and auto-braking systems. The big paradigm shift will occur when vehicles are totally driverless. There will no longer any lawsuits against vehicle manufacturers for things like sudden acceleration. Dink water towns like, Ferguson, Missouri, will lose the 25% of total municipal revenue they currently collect from traffic violations. Organizations like MADD, and providers of drunk driving consoling classes mandated by court order, will gladly shut down. 1) It's probably not a good idea to have your license plate number posted on the internet. 2) You (and anyone else) should be able to find your car's VIN, not by squinting into the glare of your windshield, but by looking at your car insurance documents. That's how I found mine. I found mine on the dealership sales papers. I think that person with the 2 tips above, sounds like Anon -not-anon. I don't sock-puppet. Not even on April Fool's Day. I look forward eagerly to the day cars drive themselves, but of course I also looked forward eagerly to the end of the Cold War. You look Italian in that pic. That's a good thing. You said you have Polish roots. You don't look Slavic/ashkenazi at all. Are you sure you aren't a Sephardic and thus have some Spanish, Portuguese or Italian roots, from way back? This seems more noticeable when you were younger. A pal of mine thought she was Russian Jewish, but seemed darker and with more digging found she had some Spanish roots. That cultural stuff is fascinating. In 1984, I was driving a Chevette that needed to be pushed to start and didn't have a hood. Oh, you know how to drive a stick? That's not easy. I learned to drive on a stick. when we bought our Camry in 1997, we got the only one available in a four state region! Now, since I can't see well enough to drive, I'm waiting with bated breath for that driverless car! Perhaps you can drive daytime only or locally only. Go to an opthamologist too for extra help and go often. What also is stupid is that at first the government at first only applied the recall mandate to cars owned by people in the South, because hot humid weather makes these deployments more likely. As if cars don't move around. As if it can't be 95 and muggy in Minnesota. See this wedding picture. The Sun Times should do some investigative reporting and get this young man thrown out of the Marine Corps. This is not what America is all about, someone please alert the Southern Poverty Law Center this is hate. There's absolutely no mention of rights for gays or transsexuals or bi or transgendered people. I think the we should all protest this wedding. Lilly, you must be a flake. It 's not always about that. I was interested to see A-n-a's reference to 2% in the first comment. This was my question. How many times have these bags deployed and NOT malfunctioned? I'm more than willing to freak out about this, of course, but if the rates for other cars are even less than 2%, I'll continue to be more worried about Neil's "most dangerous part of any car". This airbag screw-up issue is certainly a tragic and annoying story, though. Aside from that, the idea that has been floated more than once that various comments on here that are even mildly provocative or argumentative must have been made by A-n-A shows a stunning lack of imagination. There are lots of people out there, with lots of opinions, folks. Plenty of the vitriol that NS used to receive when the S-T allowed comments was way more obnoxious than anything said by A-n-A, and those remarks weren't all written by one person, either. Plus, A-n-A has no problem speaking his mind -- why on Earth would he be pretending to be somebody else? I wasn't speaking for him; I was expressing my opinion. How's about letting me speak for myself, Anon? How about those Rolling Stones- still rocking it. I'm tempted to say "oh, Jakash can speak for me - I'll let you know if he ever gets me wrong" except that would really set these conspiracy theories flying. Anyway, this morning's anon must be a latecommer if they think *that's* the level of vitriol that would drive me to even greater anonymity! I'm an old time radio fan (OTR for those in the know) and judging from the commercials and PSA's it seems like the nation was obsessed with highway safety in the 40's and 50's - maybe because it was a lot more dangerous. Then you'd like the DuPage college radio show on Sat. morn around 11 called the swing shift, 90.9.fm Then they have old time radio in the aft. and some older jazz before 11. You must be older than I thought. I like it for hist. purpose. It's before my time. I like that Shadow knows program. Anon @4:33 - will keep in mind. So much of that stuff now is posted at archive.org and elsewhere - it's like famine to feast - but the shows often add some context between segments. PS: If you like the Shadow, you'll LOVE the Whistler! Anon @4:35 - thanks, but undeserved (oh, the bad spelling is deserved) - at least until they starting calling me a wife-beater I'd probably agree with most of the negative psychoanalysis. Anon @4:37 - you've bitten off more than you can masticate! ANA-I think I know one whistler ep. Heard it while driving. The guy was a mechanic or such who was marrying a rich lady or boss' daughter and there was something shady in his background. Do you remember that one? You are a lot of fun. Hope you like the Stones too. It was sort of a surprise ending-Oh Henry style. That I heard on 90.9, as I said, sat early aft. Yeah, all the Whistler episodes went for the surprise twist at the end - at some point they even put that in the radio promos. To quote Robert Christgau, to say you don't like the Stones is to say you don't like rock music, or something like that. That said, in the Beatles vs. Stones battle, I'm with the lads. Try Kol hadash, humanistic Judaism, if it applies, folks. Neil, I'd love to hear your thoughts on those phony Duggars as only you can say it. I wish you had a section here of general topics, not related to the daily blog. Like Eric Zorn's Open Thread: Week In Review? It would be a nice homage. On second thought, why provide a playpen for the 10 people who want to snipe at each other, while denying the multitudes the reason they supposedly come here. Go poke at each other on Zorn's blog. Looking forward to it. I'm sure you can get quite a few who will post. NS-My young adult daughter is now dating a guy who looks similar to you in your younger days. Cause for concern, I guess. To drive car and not thinking about it, is something impossible. It’s a dilemma bothering drivers like me. Being caught with DUI can be very stressful but there are attorneys who can request the court to reduce your punishment or even acquit you from your DUI case. My friend who is a Los Angeles DUI lawyer has helped many of his client in winning acquittal.